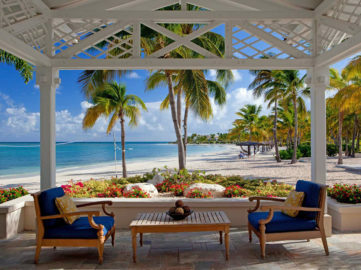 A haven of tranquility and luxury in harmony with nature, Rosewood Little Dix Bay is an exquisite, timeless resort – an unmatched Caribbean vacation getaway offering fine dining, an award-winning spa, luxury villas and beachfront rooms and suites. Located on the third largest island in the British Virgin Islands archipelago, Virgin Gorda was discovered by Christopher Columbus in 1493. He saw in the island’s shape a portly woman lying on her back and thus named the island Virgin Gorda (Virgin Gorda translates to “Fat Virgin”.) Just eight and a half square miles in area, to this day it remains an island of verdant rolling hills and secluded coves with beautiful beaches surrounded by the clear blue waters of Sir Francis Drake Channel. 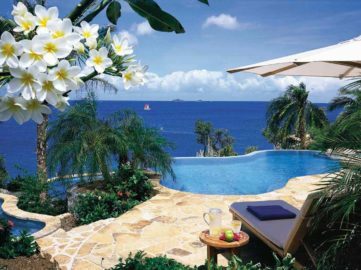 Commercialism, which has quickly changed the landscape and pace of the Caribbean, has not done so in Virgin Gorda. The result, is an island experience that is authentic and quintessential Caribbean. It is no wonder the island was named “Number 1 Island in the Caribbean, Bermuda and the Bahamas,” in the Travel + Leisure 2014 World’s Best Awards. When Laurance S. Rockefeller first visited Virgin Gorda the island was home to a fairly desolate agricultural community. In 1958, the conservationist began buying up land on the island with the dream of establishing a resort in harmony with nature and the earth, while offering an escape from the ordinary. Rosewood Little Dix Bay was built on a bay dubbed “wilderness beach” by Rockefeller, a half-mile crescent beach that is considered one of the finest in the world. The resort opened in January 1964 as Little Dix Bay. Presenting a new style of island retreat, then as now, elegantly appointed accommodations blend unobtrusively into the surrounding landscape within a few steps from the pristine white beach. In December 1993, Little Dix Bay became part of Rosewood Hotels & Resorts. 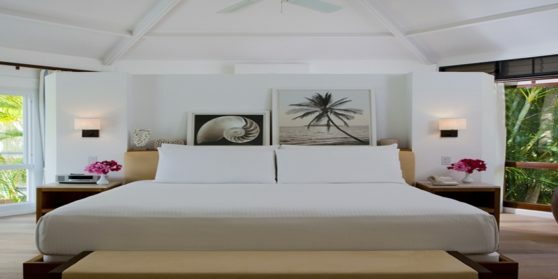 Little Dix Bay continued to be synonymous with luxury Caribbean vacations, drawing legions of loyal guests who appreciate its subtle approach to luxury and respect for the environment. In 2006 Rosewood completed a five-year, multi-million-dollar renovation. The improvements brought a new cliff-side spa, a 2,000-sq. -ft. Children’s Center, resort-wide refurbishments of the guestrooms, and the addition of 16 Rosewood Junior Suites, two Beach Houses as well as five Villas, and new restaurant designs. On January 18, 2014, the resort celebrated its golden anniversary, marking a 50 year milestone rarely achieved by resorts of this caliber. In honor of this momentous occasion, Rosewood has committed to a multi-phase renewal that aims to reaffirm Rosewood Little Dix Bay as a legendary Caribbean destination. Staying true to the original vision of the resort’s founder, Rosewood Little Dix Bay will retain a limited number of buildings designed to follow the lines of the landscape, and where possible infuse the local culture and indigenous materials into aspects of the resort design. Improvements to the resort include luxurious new Tree House Suites that pay homage to the original stilted cottages featured when the resort first opened. Future enhancements will emphasize the unique symbioses of the resort’s natural landscape, and the meticulous service that has become synonymous with the Rosewood brand.